Pursuing its strategy of promoting talent, in early 2004 the Pôle Image Magelis launched a development centre for companies in the image sectors in collaboration with the Angoulême Chamber of Commerce and Industry. establish companies and provide premises for early-stage and start-up businesses. create synergies between companies to develop joint projects. The group is developing an area of 1,500 m2, approx. 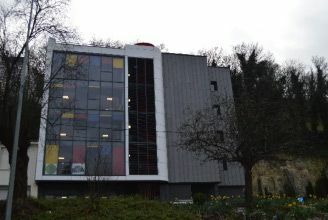 900 m2 of which is offices (15 units) and a large vaulted room of 300 m2 at the river level. An accreditation committee is tasked with selecting the future beneficiaries based on specific criteria and to support them in their creative activities. This also includes an advisory service to assist entrepreneurs from the early phase of the project through to completion. Assistance in finding new premises after they have left the development centre once the company is operational. Since its foundation, 25 companies in the image industry have received assistance from the Pôle Image Magelis, some of which were founded by alumni of the schools in the Image Campus, and have received expert advice from industry veterans to help them launch their projects, join a network of professionals and realise their creative vision. Today, Pôle Image Magelis has premises over an area of 75,000 m2, 80% of which are located on the island of Saint-Cybard. Most of the buildings have been renovated as part of an ambitious and proactive policy: to offer the best services in the region to companies, educational institutions and training centres in the image sector in the region or those seeking to be based in the Pôle. The premises comply with the latest French building and construction standards (French: HQE, BBC) to best meet the ecological stipulations at each stage of construction and their subsequent use (heating, energy consumption, waste products, i.e. water and other waste). The buildings managed by the Pôle Image Magelis are also equipped to a high standard: fibre optic, Wi-Fi, high-capacity electrical equipment for greater versatility of use, etc.. The Saint-Cybard quarter is an ideal place to exchange, share knowledge, attend screenings, round tables and other industry events. 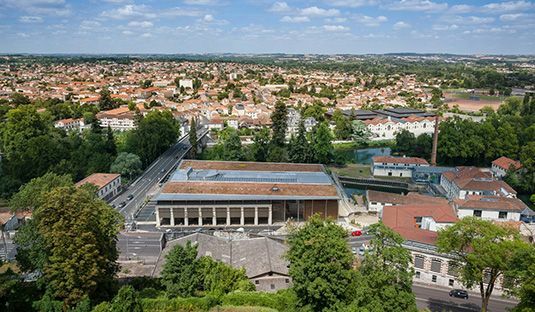 Similar to the passerelle Hugo Pratt (a walkway joining the two banks), the Pôle Image Magelis forms a bridge between professionals and students in Angoulême and the whole world to develop synergies in an environment dedicated to the image in all its forms. The GrandAngoulême economy department uses its resources to help you find solutions that are appropriate to your needs, and will then help you realise your project. Assistance in creation, development, innovation. GrandAngoulême also invests in innovation and has launched “Products of the Future”, a venture to encourage start-ups and to boost innovation. The funding may represent up to 50% of eligible expenditure (salaries, equipment, software, outsourced services, supplies, marketing, etc.) with grants up to a maximum of 50,000€. A support programme for specific industry shows and events: help in procuring prominent spaces and areas on stands at national and international shows (MIFA, Game Co, BD Boum, etc.). Depending on requirements and needs, the Pôle Image may also attend specific events to enable businesses to benefit from preferential rates and to take advantage of the Magelis profile. Diverse, committed and highly motivated, the various associations in the image industry – comics, animation, film, video game and digital images are able to discuss issues and receive support from teams at the Pôle Image Magelis along their creative journey. On submission of the relevant application and an appraisal by a committee of experts, the Pôle Image can provide specific assistance (i.e. to launch the association, funding to invest in equipment, support for specific projects, etc.). All the recipients of assistance for associations will sign an agreement between the association and the Pôle Image Magelis. The Pôle Image Magelis recently refurbished a building for writers and associations in the image sector, with 600 m2 of workspace on 5 levels to provide a space for creativity and the exchange of ideas. A support programme for specific industry shows and events : help in procuring prominent spaces and areas on stands at national and international shows (Start, MIFA, Game Co, BD Boum, etc.). Based on the requirements and needs, the Pôle Image may also attend specific events and therefore enable associations and collectives to benefit from preferential rates and to take advantage of the Magelis profile. The Image Campus, supported by the Pôle Image Magelis, comprises 11 institutions offering one or several courses recognised by professionals as providing the necessary skills to develop the image industry. Its aim is to consolidate links between schools and companies to facilitate the integration of students and young graduates into the professional sphere, to simulate transmedia contacts between the schools in the various disciplines and to anticipate future developments in the image industry. 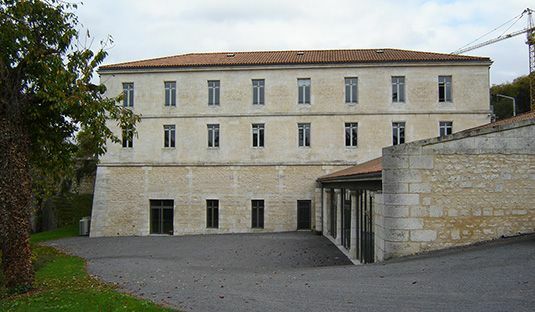 The diversity and high standard of the teaching have made Angoulême and the Campus de l’Image one of the major training centres for the image in Europe. The Pôle Image Magelis can provide support for educational establishments wishing to join the Campus in various ways and help them to find premises for the various institutions and to create new courses. Assistance from the Pôle Image Magelis aims to generate dynamic innovation both to keep pace with current technology and to remain one step ahead. The constant monitoring of the status of the industry must be actively supported by the Pôle to allow the introduction of new curricula in optimum conditions. Depending on the requirement and needs the Pôle Image may also attend specific events and therefore enable businesses to benefit from preferential rates and to take advantage of the Magelis profile. Launched by the Pôle Image Magelis and currently associated with the Cité Internationale de la Bande Dessinée et de l’Image (international city for comic strips and the image), the writers’ centre supports creatives working in comics, multimedia and film animation. 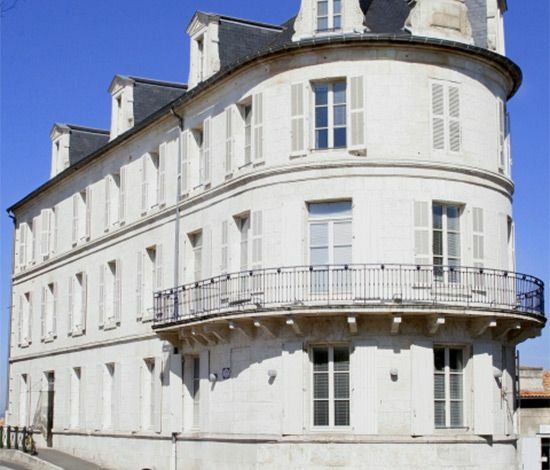 Located on the ramparts of the old town of Angoulême, the Writers’ Centre welcomes artists from all over the world to attend residential courses. It offers working conditions that stimulate creativity, has a technical and documentary resource centre and organises regular exhibitions. Premises and equipment are available to creatives from all over the world for a period of several months to 2 years on a renewable basis to help them translate their projects into words and images. 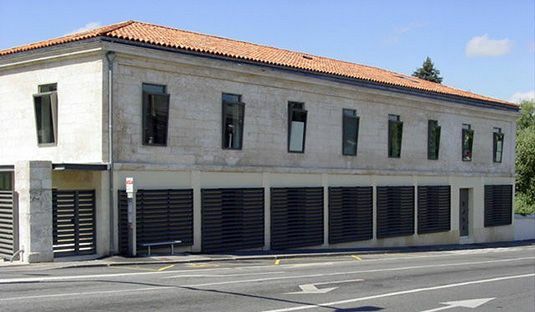 A residency grant system (awarded by the Centre National du Livre) (the national book centre) is also available to writers from outside the region who wish to work on their projects in Angoulême. The Fondation Beaumarchais grants an annual writing scholarship for a short animated film or an animated feature. Parce que la création ne serait rien sans le respect de celles et ceux qui créent, la Maison des Auteurs propose également des séances d’information juridique afin de contribuer à la protection du statut d’auteur et à la défense de la propriété intellectuelle. Tous les deux mois, des juristes viennent informer gratuitement sur le droit d’auteur, le statut social de l’artiste et répondre aux questions de droit soulevées par la création. The writers’ centre also provides a legal advisory service to safeguard the status of the writer and to defend intellectual property rights, because the creations would be nothing without respecting the authors of the works. Legal advisors hold sessions every two months to advise on copyrights, the social status of the artist and to answer any questions relating to the creation of works. Since its founding, the writers’ centre has hosted over 100 artists in residence, and approx. 50 writers in the region regularly benefit from the legal, administrative and logistical services it provides. Under certain conditions, some writers may be eligible for a grant of up to 4,000 Euros to write their scripts to support the creative process.